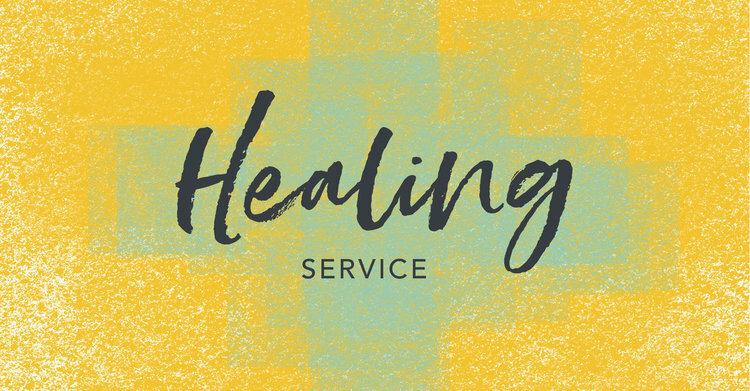 On Sunday, August 26, at both of our regular worship services, we will be offering a service of healing. This is a powerful service from The United Methodist Book of Worship that calls upon us to bring our suffering, pain, grief, and burdens before the altar of God to experience the powerful presence of Christ with us. In that presence, we find healing, although it may be different than we expected. This service does not aim specifically to heal physical maladies but, rather, to cause us to allow Christ into our areas of pain, grief, and guilt. Too often, we try and go at it alone or with the help of families, doctors, and counselors. These are good but they are not sufficient if we have not also brought Christ into our suffering. During this service, we will hear a sermon on healing, celebrate communion together, and have the opportunity to be anointed with oil while presenting our needs before God. I hope you’ll make plans to attend this powerful service! Scripture strongly affirms ministries of spiritual healing, which in recent years have received renewed emphasis throughout Christ’s holy Church. The root of the word healing in New Testament Greek, sozo, is the same as that of salvation and wholeness. Spiritual healing is God’s work of offering persons balance, harmony, and wholeness of body, mind, spirit, and relationship through confession, forgiveness, and reconciliation. Through such healing, among individuals and communities, within each person, and between humanity and the rest of creation. The New Testament records that Jesus himself healed the stranger and sick and sent out his disciples on ministries of healing. James calls us also to pray for and anoint the sick, that they may be healed. All healing is of God. The Church’s healing ministry in no way detracts from the gifts God gives through medicine and psychotherapy. It is no substitute for either medicine or the proper care of one’s health. Rather, it adds to our total resources for wholeness. Healing is not magic, but underlying it is the great mystery of God’s love. Those who minister spiritual healing are channels of God’s love. Although no one can predict what will happen in a given instance, many marvelous healings have taken place. God does not promise that we shall be spared suffering but does praise to be with us in our suffering. Trusting that promise, we are enabled to recognize God’s sustaining presence in pain, sickness, injury, and estrangement. Likewise, God does not promise that we will be cured of all illnesses; and we all must face the inevitability of death. A Service of Healing is not necessarily a service of curing, but it provides an atmosphere in which healing can happen. The greatest healing of all is the reunion or reconciliation of a human being with God. When this happens, physical healing sometimes occurs, mental and emotional balance is often restored, spiritual health is enhanced, and relationships are healed. For the Christian the basic purpose of spiritual healing is to renew and strengthen one’s relationship with the living Christ.